LONDON, ENGLAND / ACCESSWIRE / August 10, 2017 / Throughout history, the institution of democracy has flourished and changed to maintain alignment with popular ideologies and new technology. With such a crucial institution of democracy, it is important to understand the companies behind U.S. elections and to know their histories and present contributions. According to a recent study by the Penn Wharton Public Policy Initiative, the U.S. election market has "come to be characterized by a consolidated, highly concentrated market dominated by a few vendors, where industry growth and competition is consolidated." The three companies are Election Systems and Software, Dominion Voting, and Hart InterCivic. This article explores the relationships between these companies and dives deeper into their history. Smartmatic, one of the world's leading elections companies, is also included in the analysis, as it played a significant role in U.S. market over the course of the last decade. ES&S (Election Systems and Software) is headquartered in Omaha, Nebraska, and directed by President and CEO Tom Burt. In 1999, American Information Systems (AIS) purchased Business Records Corporation (BRC) to eventually become ES&S. AIS, formerly known as Data Mark, was founded by Bob and Todd Urosevich and primarily funded by H.F. Ahmanson Co, a holding company that belonged to the Council for National Policy (a right-winged organization). Bob Urosevich, who played the role of CEO for Diebold Election Systems for a short time, was responsible for creating the original software that both Diebold and his original company I-Mark Systems used. Prior to Urosevich's time with Diebold, he programmed software for ES&S. At one time, the Urosevich brothers controlled 80% of the U.S. votes due to both working in senior positions at two of the largest electronic election companies (Diebold and ES&S). ES&S has faced controversial allegations since the company's beginnings; AIS's ties to H.F. Ahmanson Co. In 1984, William and Robert Ahmanson funded Data Mark (soon to be AIS) and bought a 68% stake in the company. A few years later, an investment group, McCarthy & Co., also acquired a share of the stake in the company. In 1992, investment banker Chuck Hagel, who was president of McCarthy & Co., became a chairman of AIS. Hagel soon stepped down as director of AIS and become involved in the government as state governor. However, McCarthy & Co. (partial owners of ES&S) funded Hagel's campaign and Hagel still own more than $1 million in stock in McCarthy & Co. The complicated ties in ownership and relationships caused suspicion of ES&S, sparking conversation alleging the company of Republican ties. Along with the claims of Republican partisan ties, accuracy has posed issues for the company for years. In 2007, the market leader lost public trust when more than 18,000 ballots in the general election were not cast. In 2012, ES&S was accused of supplying untested and non-state certified software in the Ohio elections, which highlighted past mistakes of the company such as the 10% pre-election testing fail in Cuyahoga County, Ohio. In 2016, with the immense uproar of claims that George Soros (a Hilary Clinton supporter) had ties to Smartmatic and Dominion, ES&S's ownership was also in question. The relationship ES&S had with Dominion (who bought Premier from ES&S) was what dragged the company into the conversation. The relationship with Dominion put a spotlight on ES&S because Premier (a subsidiary of Dominion) was once known as Diebold, which one of the Urosevich brothers once directed. Essentially, ES&S suffered from a loss of trust due to its historical ties with other voting machine companies. Despite the company's controversial past, ES&S is one of the original companies dedicated to providing election technology in response to changing times. 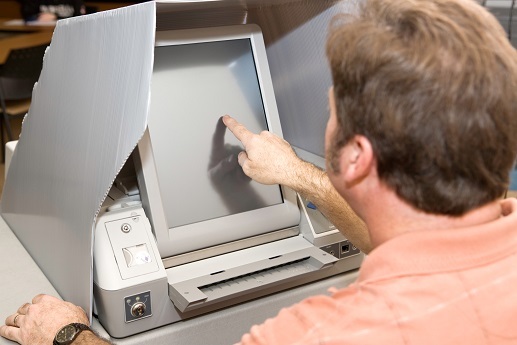 ES&S offers an array of services and provides multiple products, including touch-screen voting, scanners, tabulators, election management software, poll books, ballot printers, registration software, optical-scan tabulators, DRE's and absentee processors. In 2009, the U.S. Department of Justice forced ES&S to divest its newly owned Premier Voting System's assets to keep the company from a 70% market share in the U.S. voting systems industry. However, the company is still the market leader. The company continues its mission to provide products, support, and services that support the democratic institution. The company recently announced that, following a successful 12-year partnership with Childress County, Texas election officials, they will again proudly supply the county with elections management equipment. Dominion Voting's history roots back to 1895 with the invention of the Direct Recording lever machines in New York by a company known as AVM Company. Dominion Voting Systems is a Canadian company officially founded in the year 2000 with its headquarters in Denver, Colorado. Its founders are President and CEO, John Poulos and James Hoover. The company has been a part of technological innovation throughout history with notable benchmarks, such as the first Dominion Internet Voting customer in Canada in 2006, the EAC VVSG 2005 certification of the company's comprehensive suite of election solutions known as Democracy Suite in 2012, and the 2012 delivery of an automated counting machine (optical scan tabulator) in Mongolia. Furthering their accomplishments into 2013, Dominion Voting Systems led a remote voting process with the internet and telephone election of the Canadian Liberal Party leader. Additionally, the company's Democracy Suite system was chosen for statewide implementation in the state of New Mexico. In 2010, Dominion Voting Systems acquired Premier Election Solutions, Inc., once owned by Diebold and then an owned subsidiary of Election Systems and Software (ES&S). With this acquirement, Dominion Voting Systems gained ownership of all of Premier's intellectual property, software, firmware, and hardware. To understand the controversy that stemmed from this purchase, we must look at the history of a previous owner of Premier. Diebold purchased its election division, Premier, in 2002 following the Help America Vote Act, which funded states to purchase new voting machines. However, by 2003, Diebold was already wrought into controversy when the Diebold CEO, Walden O'Dell, wrote to Republican supporters that the company was committed to helping deliver their votes. O'Dell's actions compromised the impartiality of the entire corporation, making Diebold the target of voting activists. The controversy followed the company for years to come, even though Premier's acquisition by ES&S and then Dominion in 2010. Both companies' reputations suffered as a result of heavily publicized litigation relating to a software glitch that was resolved just before the 2010 election and that litigation rumbled on to partly affect the mid-term elections in 2013. However, for the 2016 elections in the Philippines, Smartmatic operated with their own technology having released a new vote counting machine which replaced the previous version, resulting in "the speediest canvassing proceedings in the country's history." As noted in the Penn Wharton study, "The Business of Voting," Dominion Voting Systems reached approximately 71 million voters in 1,635 jurisdictions in 2016. Hart InterCivic is a technological election solutions innovator for state and local governments that is headquartered in Austin, Texas. The company was founded in 1989 by David E. Hart, and the current CEO, President, and Director is Phillip Braithwaite. In 2011, a large portion of Hart InterCivic was bought by H.I.G. Capital, which replaced most of the board of directors with H.I.G. employees. A few elections the company supplied technology services to include the 2004 Ohio election, the 2010 State of Hawaii election, the 2011 Monroe County election technology purchase, the 2011 Tulsa County voting machine purchase, and many more. 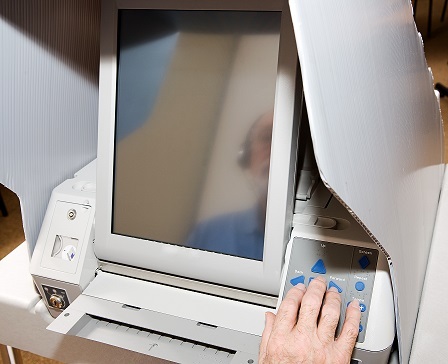 The company's three major systems include the Verity, which includes a digital scanning device, a touch writer for disabled voters, and a verity touch DRE device. Absentee and mail-in-voters are able to utilize Verity Central, which is a scanning solution that eliminates the need for pre-sorting ballots. Verity also includes election management with software applications that categorize election data, design ballots, and more. Hart InterCivic also provides the Hart Voting System, as well as election services, such as ballot production, consultation and training, and preventive maintenance. A major scandal associated with Hart InterCivic are the reports in 2014 that announced the potential bias and link between Hart InterCivic employees and Mitt Romney. As mentioned above, Hart InterCivic was acquired by H.I.G. Capital, making most of Hart's board of directors H.I.G. employees. H.I.G. was founded by Tony Tamer, a former employee of Mitt Romney. 21 of the 22 H.I.G. American citizens donated to Mitt Romney's 2012 campaign. A majority of the Romney supporters on the Hart board of directors were proven to be directly associated with Bain, which fundraised money for Romney. The Hart InterCivic voting machines were in use in key states, such as Colorado and Ohio, and had experienced failures in previous elections. This created a fear that the company would rig future election results in Romney's favor. The claims against Hart InterCivic refueled the conversation about the 2003 Diebold controversy. The public associated Hart's potential partisan bias with that of Diebold's CEO's public support of the Bush administration. The connections between the election solution companies continue as we explore Hart InterCivic's aggressive attempt to take over Sequoia, the previous subsidiary of Smartmatic. Hart notified Smartmatic of its intent to purchase Sequoia for $2 million, however, Dominion Voting Systems was the ultimate winner in the purchase. 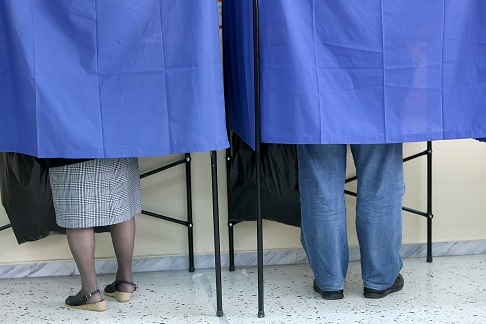 As previously mentioned, Dominion faced challenges when it purchased Premier Voting Systems. With the purchase of Sequoia, Dominion acquired access to an even more significant share of the U.S. market. Despite the controversy surrounding Hart InterCivic due to the allegations of potential bias and their relationship to previously mentioned controversially ridden companies, they continue to supply leading technology innovation solutions for elections. More recently, Oakland County, Michigan has announced its selection of Hart InterCivic's Verity Voting System. The system includes "optical scan tabulators, accessible voting devices, and Election Management System software." Today, Hart InterCivic serves nearly 21 million voters in 418 jurisdictions of Texas, Kentucky, Oklahoma, and Washington, among other states. It has been recently announced that the company's Verity Voting System will replace voting technology in Jack County, Texas, Milam County, Texas, and Randal County, Texas. Smartmatic is a leading voting technology provider that has assisted in casting over 3.7 billion votes in elections around the world. Antonio Mugica, Alfredo José Anzola, and Roger Pinate began developing technologies to enable hyper-secure communications in the late 1990s. In 2000, they formalized their enterprise, incorporating Smartmatic in Delaware, USA. The company had its headquarters in Boca Raton, Florida and its main R&D lab in Venezuela. Today, Smartmatic is headquartered in London, UK and has R&D labs in Taiwan, Estonia, and Panama. In the beginning, Smartmatic focused mainly in the banking industry, offering secure online protocols enabling hyper-secure interconnection between digital devices. However, shortly after the 2000 United States presidential election put the spotlight on the obsolete U.S. voting system, Smartmatic's founders decided to adapt their technology for use in electronic elections. Smartmatic's first entrance into the public light began in 2004, albeit not devoid of controversial issues. The SBC Consortium that formed Smartmatic to participate in the open bid launched by the Venezuelan Election Commission (CNE) was owned 51% by Smartmatic, 47% by CANTV (state telecommunications organization, at that time a Verizon subsidiary), and 2% by Bizta, which was also owned by the founders of Smartmatic. Before Bizta was invited to be part of the SBC Consortium, the company had been granted a $150,000 loan from FONCREI, the equivalent of the "US Small Business Administration" in the US. As collateral for that loan, FONCREI received a 28% non-permanent equity position and one seat in Bizta's Board of Directors. Bizta repaid the capital loan one year after receiving it. That loan, provided to a sister company of Smartmatic by a government institution, raised suspicions that the company might have been funded by the Bolivarian government, which allegedly explained "very good relations" with the government, meaning dealing frequently with government officials - which obviously is a basic tenet to any negotiations with a State institution, and especially so over automating an election in a country where elections have traditionally been run by one such institution. In December 2015, following 16 years of Chavismo rule, the parties supporting the Government suffered a major setback at the polls. For the first time in almost one and a half decades, Chavismo lost the majority of votes and, consequently, its control of the National Assembly. Even though that, with the same technology, both parties have won and lost in Venezuelan elections, Smartmatic's reputation took the punch and was blamed for years as favoring Chavismo. However, following the 2015 landslide defeat, those claims were finally discredited. Further reports explain that the Smartmatic machines and application software used in the Venezuelan election in 2015 - as in the past 13 elections - were audited 13 times before, during, and after the election to ensure accuracy and reliability. Later, a second controversial issue erupted around 2005-2006 when Smartmatic acquired a British-owned electronic voting systems manufacturer entitled Sequoia Voting Systems. In 2006, having significantly enhanced the Sequoia product range and also its market share, Congresswoman Carolyn Maloney (D-NY) called the United States government to launch an investigation into the purchase due to the Venezuelan nationalities of Smartmatic's founders and a claim that Hugo Chavez had an influence over the company's actions. As previously mentioned, Smartmatic and Dominion Voting have shared tumultuous interactions. Their 2009 partnership ended on rocky terms. The termination of their agreement in 2012 had the potential to deny Smartmatic access to vital material and information necessary to correct any issues with the PCOS voting devices, which created an understandable fear among the Filipino public since Smartmatic had been contracted to provide the PCOS systems for the May 2013 mid-term elections. However, for the mid-term 2013 elections, Smartmatic deployed 76,000 machines and only 258 of those had to be replaced, and in many cases, it was due to handling errors rather than machine failures. Additionally, there were allegations that the 2013 results followed a 60-30-10 vote ratio per candidate. There were only some 200 PCOS malfunctions, however further studies proved the problems came from telecommunication issues, including poor internet connectivity in certain regions. Experts looked into the 30-60-10 claims and found that there was no evidence to support fraud and that the ratio only represented a portion of the population rather than the whole. In 2014, Smartmatic entered into a strategic partnership with the Estonian R&D lab entitled Cybernetica. Together, the companies announced the development of the Smartmatic-Cybernetica Centre for Excellence for Internet Voting, which is an R&D center in Estonia focused on the study and development of the most efficient and secure forms of Internet voting. To advise Smartmatic and election officials, the company established the International Election Advisory Council. Smartmatic continues to create innovative technology in several fronts. A recent development is the selfie voting app, which uses facial biometric data against government-issued ID documents to send the user's encrypted vote to a central server.